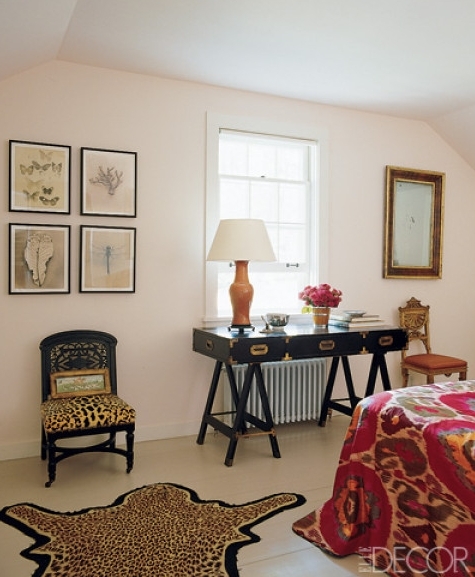 These rooms have me craving a little more leopard in my home. Whether it's a rug, a pillow, a blanket, or a whole leopard wall, I think the print adds a little rustic, modern vibe to a room. How do you like this style for the home? The first image is my favorite, just a pop of leopard! 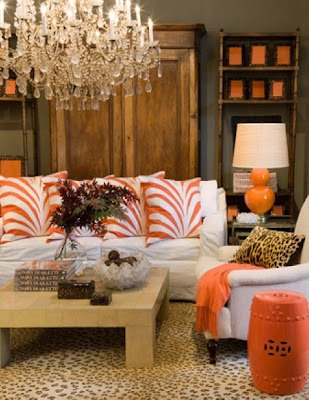 I want the leopard wall to wall carpet in my bedroom :-) And i love the pop of orange with it! LOVE the pillow. Such a perfect touch of leopard. The first photo is perfection! Love it! I adore animal prints. They are basically a neutral these days! Gorgeous photos Viv. Love leopard. I have blue leopard inspired pillows that I just love. I want to do a guest room in all of the colors in the first picture. I am currently obsessing over them in a very bad way. And I LOVE everything in the second picture, too. Leopard + green = love! I love a little touch of leopard, in my closet and in interiors. Big into zebra, too. I have a gray zebra pillow from West Elm that I just love! I would die for an office space like image #2! Happy weekend! Big believer that you can't have enough leopard in your life! Love it! The office space with leopard walls is so pretty. That last room is so beautiful! I love the pops of leopard, especially in smaller accents like pillows etc. 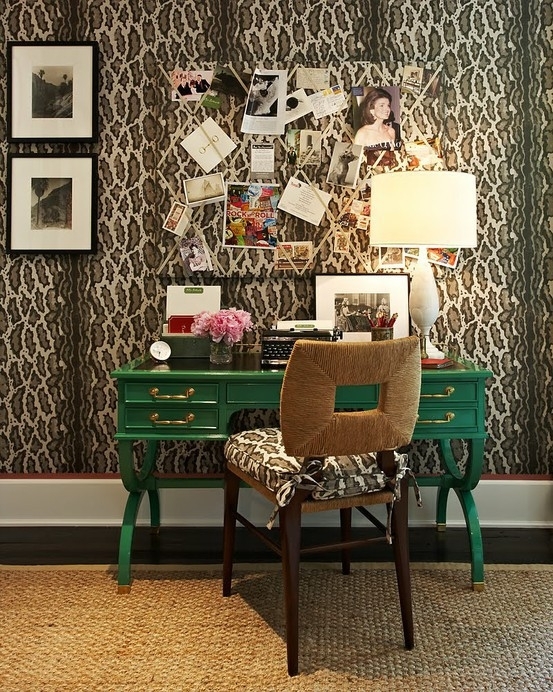 There is nothing I love more than leopard accents in a house! Yes! Target has spotted leopard fur pillows (that look nice actually) for only $20! Let me see if I can ind you the link. Yes maam!! leopard is a great accessory in the home and in an outfit! Love the last pic. Looks cool and nice and it has the perfect touch of tiger look carpet. Now i have the idea on how am i going to decorate my room. Nice post!